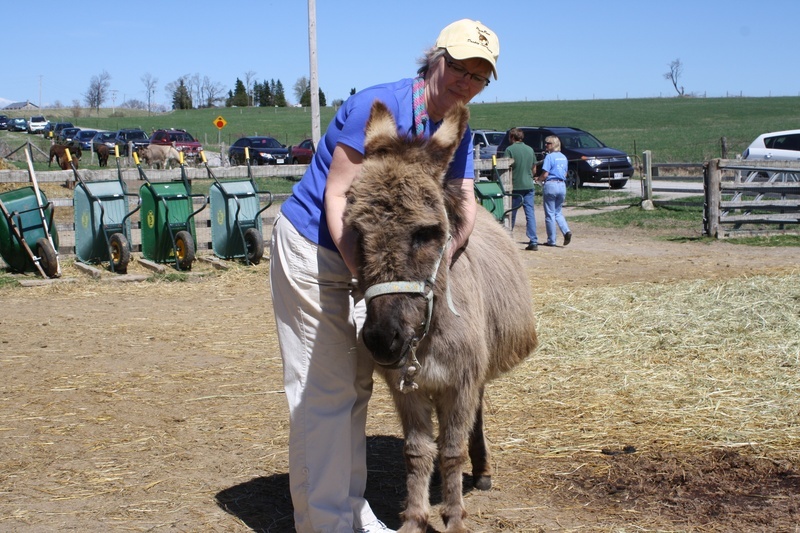 Reiki Master Teacher Susan Rouse demonstrating Animal Equine Reiki at The Donkey Education Day at PrimRose Donkey Sanctuary, Roseneath Ontario, a short drive from Cobourg. Reiki Master Teacher Susan Rouse offers sessions and teaches Reiki to clients and students from Baltimore, Cobourg, Bowmanville, Belleville, Newcastle, Port Hope, Peterborough, Trenton, Oshawa, Ajax, Pickering, Kingston, Toronto, Whitby, Ontario and surrounding areas. DISCLAIMER: The content on this website is for informational and educational purposes. The healing modalities offered are not intended to provide a medical diagnoses or prescribe therapy/medications to treat, mitigate or prevent illness. The healing modalities described and offered are not meant to be a substitute for medical diagnosis, treatment, advice and care from a registered health care practitioner.